Cody Christman - Beerdrinker of the Year: Who is James Boag? My buddy Jim Escalante was just in Australia a couple of months ago, and in addition to bringing me back a jar of Vegemite, he tipped me off to a great brewery that I needed to visit - the James Squire brewery in Sydney. 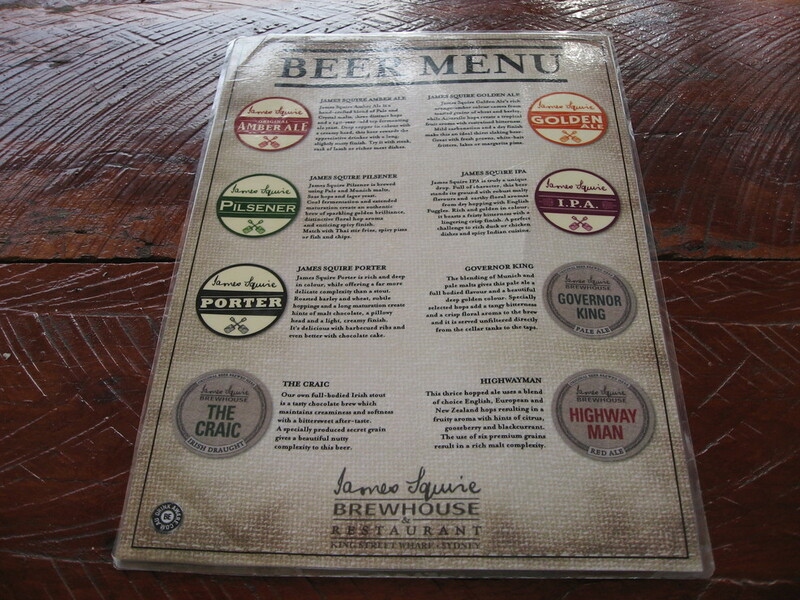 Their Sydney Brewhouse is located in the King Street Warf on Darling Harbour. The restaurant and pub is right on the water walkway so you can’t miss it. James Squire was a convict transported to Australia in 1788. He founded Australia’s first commercial brewery and is also credited with being the first to successfully cultivate hops on the island. 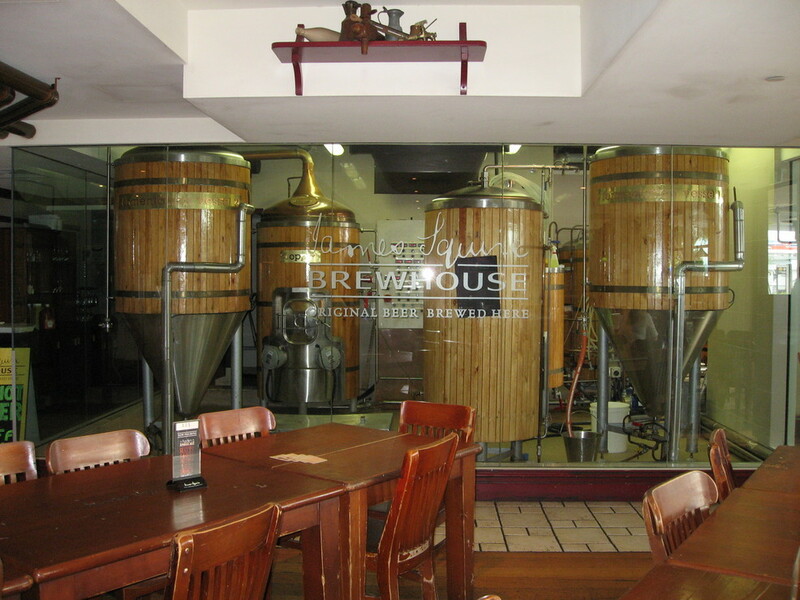 Though commonly referred to as James Squire, the actual brewery is called the Malt Shovel Brewery (two crossing shovels emblazon their beer labels), which is now part of the Lion Nathan beverage group. 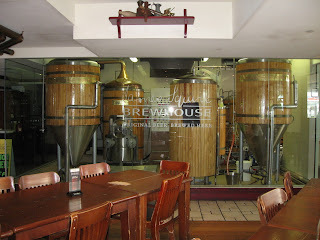 Malt Shovel’s primary brewery is in Camperdown New South Whales, but the Sydney location also has an operating brewery, which produces four of their eight offerings on premise. I would classify James Squire as startling a line between US craft brewery creativity and a traditional British brewery. Their IPA was a well-balanced copper ale with a definite Fuggle accent - not the high-alcohol citrus hop bomb of most American IPAs. It leaned toward a British example of the style, but fully carbonated. The second beer I tasted was the Highway Man Red Ale. Another beer with exceptional balance between malt and hops. This beer is brewed with English, European, and New Zealand hops and six different grains. At least one of which is roasted according to my taster. The result was a rich Red Ale with just a hint of roast; lots of body and solid hop character. Unfortunately, Ankur (from the Australia office) and I did not have time for a third since we were already late for the APAN gala dinner taking place down the walkway. So we reluctantly wrapped up after two pints and moved on.